Your privacy is important to us. In the following paragraphs please find a description of what policies and practices we use to protect your privacy and how we use information entrusted us online. Jesmond BioScience GesmbH and her affiliated companies gather non-personally identifiable information regarding where visitors go in our Web Site as well as regarding the technical efficiencies of our Web Site and services (i.e. browser version, time to connect to our Web Site, time to download pages, etc.). This information allows us to see which areas of our Web Site are most visited and helps us better understand, and adapt to, our visitors´ experience on our Web Site. This helps us improve the overall quality of our visitors’ online experience by recognizing and delivering more of the information, products, services, and features our visitors prefer. Jesmond BioScience GesmbH and her affiliated companies primary goal in collecting personal information is to improve your online experience and to allow us to provide services and features that fit our visitors’ needs. When visiting our Web Site we will not collect any personal information about you unless you provide it to us voluntarily. 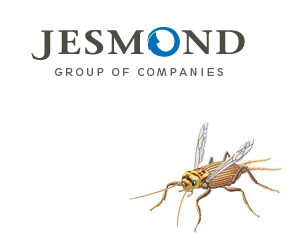 Jesmond BioScience GesmbH and her affiliated companies do not require visitors to our Web Sites to provide personal information in order to obtain access to any of our sites (excluding potential log in sections reserved for the use of Jesmond BioScience GmbH´s partners). You are in control of the personal information you provide to us online. We may use your personal information to contact you. For example, we may send you marketing or promotional material including e-mails or other information; we may respond to your comments or requests for information; or we may contact you if needed in the course of processing your inquiries and requests. We also use personal information about you to improve our marketing and promotional efforts; to statistically analyses Web Site usage; to improve our content and product offerings. We believe these uses allow us to improve our Web Site and better tailor it to meet our visitors’ needs. Jesmond BioScience GesmbH and her affiliated companies are committed to keeping the data you provide secure and will take reasonable precautions to protect your personal information from loss, misuse, or alteration. Partners of Jesmond who have access to your personal information in connection with providing services for Jesmond are required to keep the information confidential and are not permitted to use this information for any other purpose than to carry out the services.